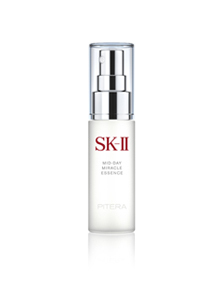 As vital as the sun is to daily life, it can also be your skin’s greatest enemy. Exposure to the sun’s damaging ultraviolet rays reduce your ability to maintain crystal clear skin, causing darkening and dryness while also accelerating the appearance of spots. With proper protection and defense tactics, your enemy won’t win when it comes to the fight for your skin. 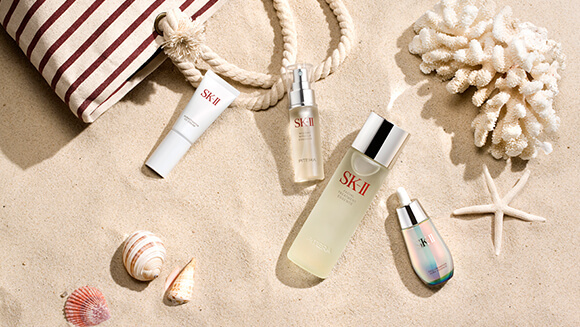 Learn how to defend yourself against the sun’s harmful effects by arming yourself with the right skincare products before and after sun exposure. 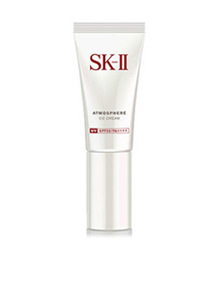 The first step to fighting against sun damage is strengthening your skin’s defenses. 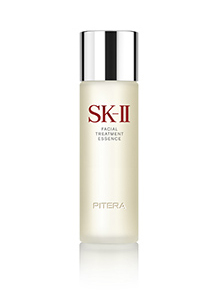 After cleansing and toning, apply Facial Treatment Essence all over your face. This multi-tasking essence strengthens the skin barrier function to keep your skin moisturized and plump, helping to reduce drying and appearance of spots. Undoubtedly your best armor against sun damage is the daily application of SPF. To avoid having to layer multiple products on your face every day, look for skincare products containing a high degree of UV protection, such as Atmosphere CC Cream with SPF50 PA+++, to protect against harmful UVA and UVB rays. The cream’s light tinted coverage also covers up blemishes to create a flawless look to your skin, while the brightening ingredients give your skin a radiant glow. Throughout the day, your skin is not only exposed to the sun whenever you step outdoors, it’s also experiencing oxidative damage from aggressors like pollution and smoke that can wreak havoc on skin, causing it to lose radiance and moisture. 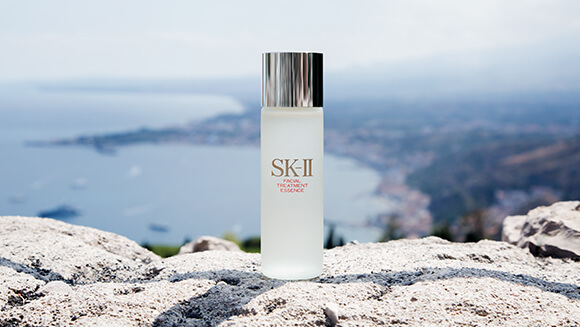 Maintain your skin’s hydration levels while on-the-go with the Mid-Day Miracle Essence, a travel-friendly facial spray that invigorates your skin and even works over makeup. 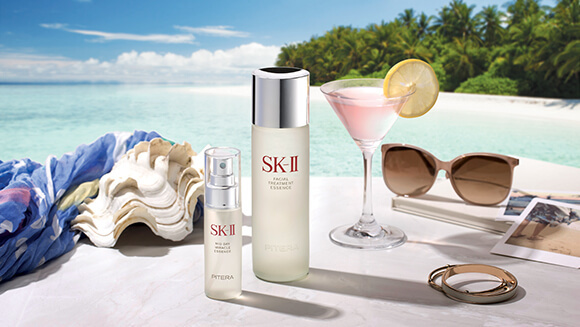 After you’ve been outdoors in the sun, immediately re-apply Facial Treatment Essence, which is quickly absorbed and will cool down your sun-exposed skin to help repair sun damage by boosting your skin’s cell renewal cycle. The intensive moisturizing properties of the essence will also refresh and rehydrate your skin, reducing the chances of dryness and spots appearing. 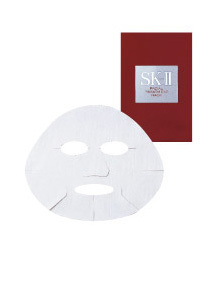 For an intensive boost of hydration and healing, put on a Facial Treatment Mask. Saturated in a high concentration of Pitera™, the mask will instantly soothe your skin for a brighter, smoother, and well-moisturized finish. 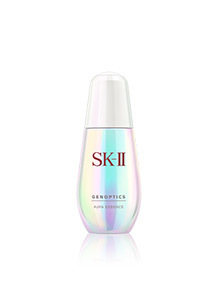 Follow with GenOptics Aura Essence, a potent brightening serum that will help dissipate darkening skin to promote your inner glow and help you emerge with radiant, healthy skin.